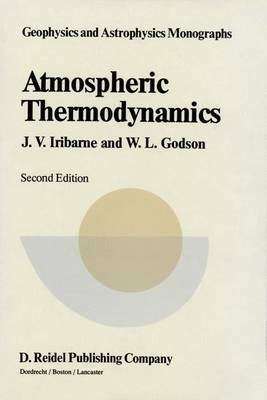 The thermodynamics of the atmosphere is the subject of severai chapters in most textbooks on dynamic meteorology, but there is no work in English to give the subject a specific and more extensive treatment. In writing the present textbook, we have tried to fiII this rather remarkable gap in the literature related to atmospheric sciences. Our aim has been to provide students of meteorology with a book that can play a role similar to the textbooks on chemical thermodynamics for the chemists. This implies a previous knowledge of general thermodynamics, such as students acquire in general physics courses; therefore, although the basic principles are reviewed (in the urst four chapters), they are only briefly discussed, and emphasis is laid on those topics that wilI be useful in later chapters, through their application to atmospheric problems. No attempt has been made to introduce the thermodynamics ofirreversible processes; on the other hand, consideration of heterogeneous and open homogeneous systems permits a rigorous formulation of the thermodynamic functions of c10uds (exclusive of any consideration of microphysical effects) and a better understanding of the approx- imations usually implicit in practical applications.